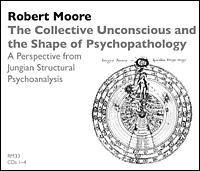 In this workshop Dr. Moore outlines his findings on the relationship between the structures of the collective unconscious and the patterns which we find in psychopathology. Moore takes as his text for this dialogical project the leading empirical research on psychopathology, that of Theodore Millon. He interprets and evaluates Millon's understanding of the shape of psychopathology from his perspective of Jungian structural psychoanalysis and integrative psychotherapy.